The Sonoma State University Physics and Astronomy department invites all to attend this week's public viewing night entitled Planetary Nebulae: Nature's Watercolors. The program is 8:00-10:00 p.m. on Oct. 9 at the SSU observatory. The event will begin with a short presentation in which the topic of focus is discussed, followed by access to the powerful telescopes of the observatory. Hot chocolate and cookies will be provided. Physics and astronomy professor Scott Severson will be in attendance, along with a team of student assistants ready to answer questions and help with the observing of the nebulae. 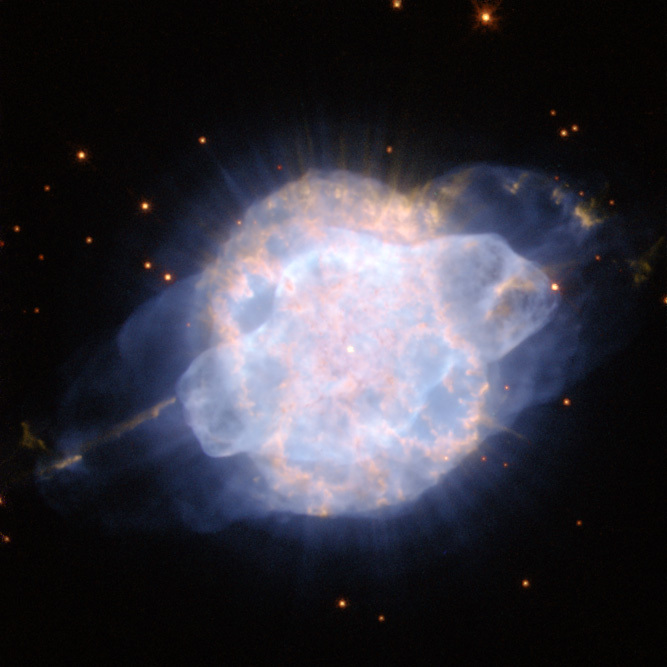 Though named planetary nebulae, these cosmic events don't actually involve planets, but instead depict the final stages of a star's life cycle in which its inner material is thrown outward into space, creating a breathtaking image. The observatory is located inside the stadium area at the southeast corner of campus. For further directions, click here. The event is free and open to the public, parking is $5-$8 on campus. Call (707) 664- 2267 before attending if it appears possible that clouds or fog may force cancellation.